Over 2,500 courses and videos and 15,000 learning resources to help drive awareness and better connect learners. LMS agnostic, new courses added free every week. It's the Netflix of elearning and it's time you save your business from boring learning! 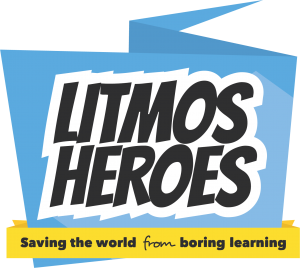 Litmos Heroes, a global learning content business, make learning awesome by delivering bite-sized video training to re-engage bored learners across the globe. With over 2,500 off-the-shelf courses and videos and over 15,000 resources contained within their content library, Litmos Heroes save businesses from boring learning by providing organisations with training that truly connects with employees. It’s (probably) the best off-the-shelf content library in the universe. Unlimited access to over 2,500 off-the-shelf courses and videos. Collections include compliance and policy (GDPR included), leadership and management training, soft skills, I.T. skills, health and safety and much, much more. Over 15,000 blended learning resources, designed to help you diversify your training with infographics, workbooks, video trailers and more. A completely LMS agnostic solution - our courses are SCORM files and can be used wherever you fancy. New courses added to your library every week, free of charge. Discover the Solutions Litmos Heroes has to offer.